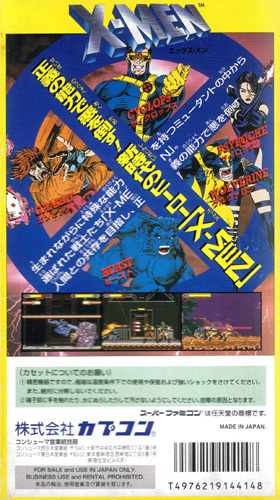 Combines Capcom's Captain Commando know how with a sprinkling of Street Fighter specials to fully maximise the superb potential of the X Men license to produce a very sound game. Initial stages are determined by the character you choose, but once these are completed and their abilities fully mastered, a set of open stages can be attempted with any of the X Men you prefer. 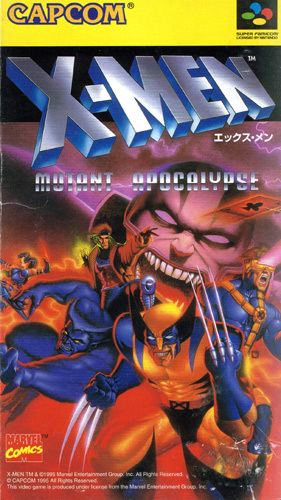 Subtitled Mutant Apocalypse. Brand new. Slight concave feel to side edges.